Eco-Congregation is an ecumenical programme helping churches make the link between environmental issues and Christian faith, and respond in practical action in the church, in the lives of individuals, and in the local and global community. Although we share most of our resources each Eco-Congregation initiative is responsible for its own website and publications and is not accountable for the content of any of the other initiatives. Livesimply is an award scheme designed specifically for Catholic churches in England and Wales and supported by CAFOD. 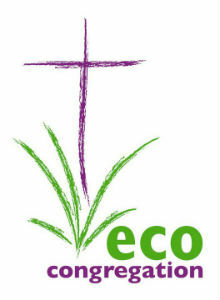 In Scotland Eco-Congregation is a membership organisation run as an independent charity. Eco-Congregation Ireland was initiated by the Church in Society Forum of the Irish Inter-Church Meeting and is run by a committee working in a voluntary capacity. Each of the main Christian churches on the island is represented. The Norwegian Methodist Church runs the scheme in Norway. There is an additional organisation called GrønnKirke which is run by the Church of Norway. *Our primary aim is to support Christian churches, which confess the Lord Jesus Christ as God and Saviour according to the Scriptures and therefore seek to fulfil their common calling to the glory of the one God, Father, Son and Holy Spirit. We are very pleased if other faiths wish to adapt our scheme to their own needs and we are happy to advise and support you where we can.